Kesari teaser: Bollywood actors Akshay Kumar and Parineeti Chopra is making all the right buzz as it gears to hit the screens on March 21. To raise excitement among the audience for the film, the makers have released the first glimpse of the film. Regarded as one of the most anticipated films of the year, Kesari also stars Parineeti Chopra in a leading role. The wait for the first glimpse of Akshay Kumar and Parineeti Chopra-starrer Kesari is over. 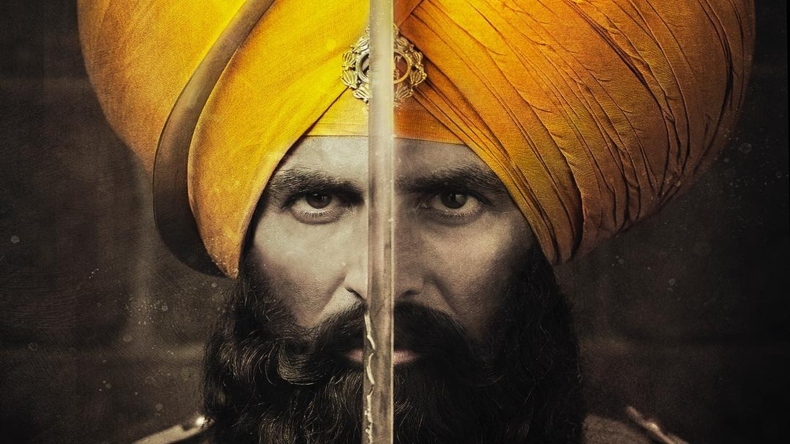 After releasing a number of posters, the makers of the film on Tuesday have released the first glimpse of Kesari, a film based on the battle of saragarhi. In the 30-second video, the Sikh regimen can be standing tall against Afghan tribesman in the war field. Holding a sword in his hand, the look of Akshay Kumar has been tactfully hidden. Earlier, the actor had revealed that the filmmakers will be releasing glimpses of Kesari before the trailer releases on February 21. The first video released by the makers is surely building up the excitement for Kesari trailer. In the film Kesari, Akshay Kumar will be seen sharing the screen space with actor Parineeti Chopra for the first time. Helmed by Anurag Singh and bankrolled by Karan Johar under the banner of Dharma Productions, Kesari is slated to hit the theatrical screens on March 21, 2019. In Kesari, Akshay Kumar will be seen essaying the role of Havildar Ishar Singh who puts up a tough fight along with an army of 21 Sikhs against 10, 000 Afghans in 19th century’s Battle of Saragarhi. Along with Kesari, Akshay Kumar will be seen in upcoming films like Mission Mangal, Good News, Sooryavanshi and Housefull 4. Meanwhile, Parineeti Chopra has been roped in for films like Sandeep Aur Pinky Faraar and Jabariya Jodi.